FX has a new TV show on that is…well…interestingly good. 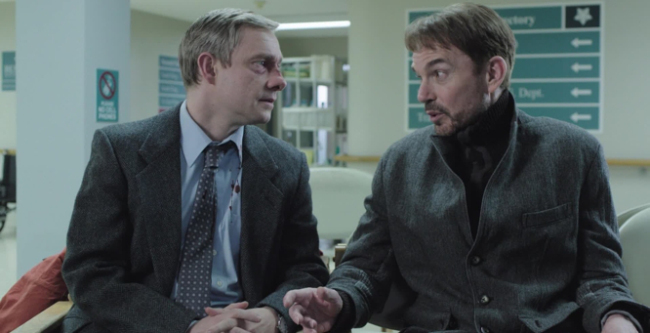 We sat to watch the first episode last week of “FARGO” and have to admit it has us hooked! Once you get past the fact that the movie “Fargo” was so good you are left wondering, what can they do with a similar story on the small screen? Well, there are many similarities, which happen to work. In the film, Jerry Lundegaard (played by William H. Macy) is a car salesman desperate for cash. In the show, Lester Nygaard (played by Martin Freeman) is an insurance salesman desperate to forget his lack of accomplishment. The two characters are immediately recognizable as the same person, only in different situations, stuck in Minnesota. This Post was posted in movies and tagged fargo, television. Bookmark the permalink.